Losing hair can be extremely distressing for both men and women. Modern therapy involves the use of prescription drugs and surgery. But back in the days, our ancestors turn to Mother Earth to treat shedding of the tress. MPB Research, a hair loss research organization, compiled ancient cures from the traditional and medicinal systems of our forefathers. First were the Egyptians, who created a topical oil made from aloe vera, castor oil, and olive oil. They applied it on their scalp before sleeping, and then rinsed it on the morning. Then there’s the ancient Chinese, who made use of herbs for their remedies and beauty treatments. Ginseng is a classic herb, which they believed to stimulate blood circulation. This means that it could increase blood supply to hair follicle cells. In Ayurvedic medicine in India, they used essential greases as their natural remedy for hair loss. Oils from rosemary, peppermint and lavender were some of them—all known to have various anti-inflammatory, anti-microbial, and antioxidant properties. So out of all these primordial cures, which one is the best to arrest hair loss? Well, an herb or an essential oil alone is very unlikely to have any impact on this mane problem. It’s best to have these natural ingredients combined to achieve a better growth effect. But don’t worry because you don’t have to go through the trouble of getting and preparing all of them. There’s already a product that combines all of these natural raw materials–NOVUHAIR. This natural topical solution is a one-of-a-kind in the market that combines 19 natural herbs, essential oils and co-factor nutrients. They work synergistically to cure hair problems from growth to vanishing. This includes aloe vera, ginseng, rosemary, virgin coconut oil, and Biotin or Vitamin H which nourishes and strengthens hair. NOVUHAIR penetrates deeply to help rejuvenate, nourish, and maintain moisture in the scalp and hair. It accelerates blood circulation in the scalp and improves the overall appearance of the tress. It also has a minty, cool effect that makes hair always clean and fresh. The prehistoric era is a proof that we don’t have to use chemicals to treat hair loss. We just have to go back to the basic—a natural way to bring back the glory of our crowning glory. 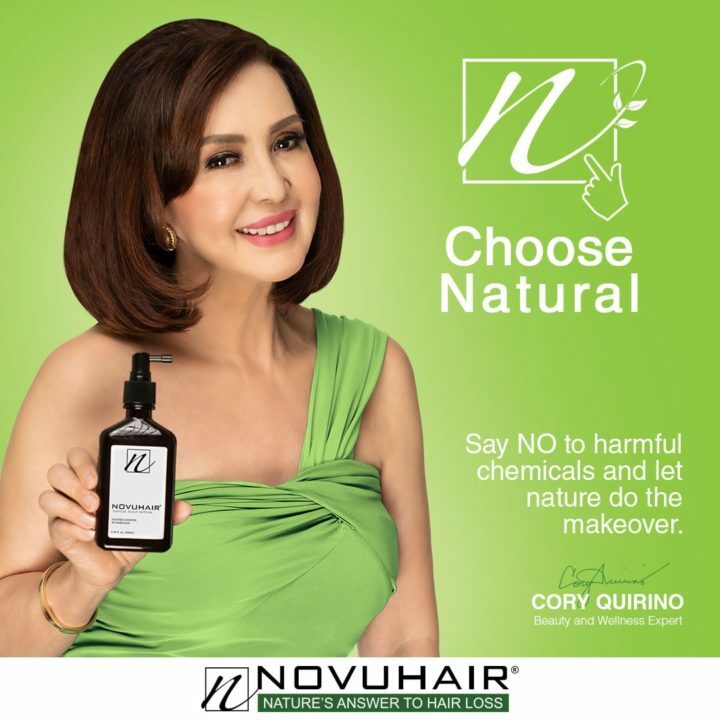 So if you want an all-natural, effective, and safe solution for hair loss, then try NOVUHAIR to achieve that full head of healthy and bountiful hair.